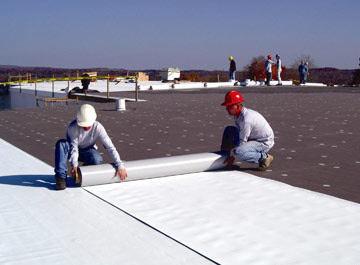 As licensed and fully bonded professional roofers with over 40 years experience in all types of roofing systems, A.A.T. is the company homeowners and commercial facilities rely on for all their roofing needs. A roofing company you can count on does it all, from shingle repairs on a single-family home to complete roof replacement for commercial facilities, and everything in between. For over 40 years, homeowners and property managers in East Florida's greater Daytona Beach areas and beyond have relied on A.A.T. for all their roofing needs, including leak repairs, regular roof maintenance, reroofing, and more. With a professional team of lifelong tradesmen who settle for nothing less than 100% customer satisfaction during every step of every job, and extensive experience with every type of roofing system, A.A.T. has built a reputation of trust and excellence that is unparalleled in the region. Call (386) 767-1886 today to learn how we can exceed your expectations, and help preserve and protect your home or commercial facility's most valuable asset. Unparalleled experience in the coastal regions, as well as relationships with engineers and manufactures, has earned us a reputation of trust and expertise. The safety and health of our workers, as well as our worksites, is paramount, ensuring your project is free from danger and unnecessary hazards. With 20, 25, or 30-year commercial warranties, as well as manufacturer warranties, residential wind warranties, and labor warranties, your satisfaction is our guarantee. Our fully bonded and licensed contractors give homeowners and property managers the confidence of knowing they can rely on trusted, reputed professionals. Whether you need simple leak fixes, larger scale repairs, regular maintenance, or even a complete reroofing, call us today for a free estimate. Our $2 million general liability insurance means you, your family, and your property is protected in the unfortunate instance of an accident. Vertical seam panels, copper roofing, modular press-formed panels, and other types of metal roofing provide durability during extreme coastal weather. Our professional repair, maintenance, and reroofing services will ensure a long, strong life for your metal roof system. Our maintenance, repair, and replacement services cover a wide range of flat roofs, including built-up roofing, modified bitumen (single-ply) roofing, rubber membrane roofing, neoprene, and much more. Your commercial or residential project is in expert hands with A.A.T. Tile roofing for both commercial facilities and homes provide a uniquely beautiful look without sacrificing strength. For cement tile roofing, slate roofing, metal roofing tiles, synthetics tiles, and other repair, maintenance, and reroofing services, give us a call today. 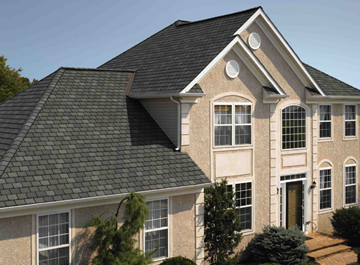 Shingles are the most commonly used roofing materials, especially in residential projects. Whether you need leak repair, regular maintenance, or replacement asphalt shingles, wood shingles, slate shingles, tile shingles, or metal shingles, we have you covered. From the Daytona Beach City Hall to office buildings and condominiums, we specialize in projects both big and small. Ensure your home's roof remains strong and secure before, during, and after hurricane season with regular maintenance and repairs. Protect your home or facility's most valued asset with regular inspections to identify damage and potential problems. 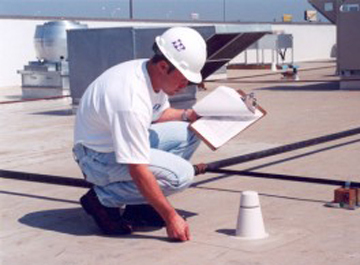 A quality roof inspection not only identifies existing damage in need of repair, but also potential issues that, gone unnoticed, could cause extensive structural damage to your home or commercial facility.